Triple R is located inside the Norbeck Wildlife Preserve, only three miles from the Black Elk Wilderness Area, and also the Black Hills National Forest. What a neat place for a dude ranch. Not only is there a lot of history here, but there’s a lot horseback riding. The week is planned out, Monday following breakfast is a ride. Guests are first introduced to their horse and given some basic instructions. After lunch is more riding. When supper is done there is a vehicle ride to Mt. Rushmore to watch the lighting show. And that’s just Monday. Tuesday is more rides to enjoy the scenery and wildlife. Directly after lunch guests can enjoy a ride to Maybelle Mine or Outlaw Cave. By the time Wednesday rolls around you’ll be toughened up enough for an all day ride, lunch included. Thursday there’s a ride to a place called Grand View. From there one can see Mt. Rushmore and the Badlands. Later in the day you can enjoy a comfortable drive to the Crazy Horse Memorial. This is an example of a typical stay at Triple R. Weather and other circumstances could change the scheduling. Prices are per person with a three night minimum and this is for May and September. A four night minimum is from June through August. Children under seven and pregnant women are not allowed to ride. 3 or more $1,670. $1,455. $1,165. non-rider $1,155. $ 945. $ 785. Circle View is a Bed and Breakfast establishment. They have a herd of burros to ride. I rode a burro years ago and it was kind of fun. I think it might be fun to ride another one and refresh the memory. 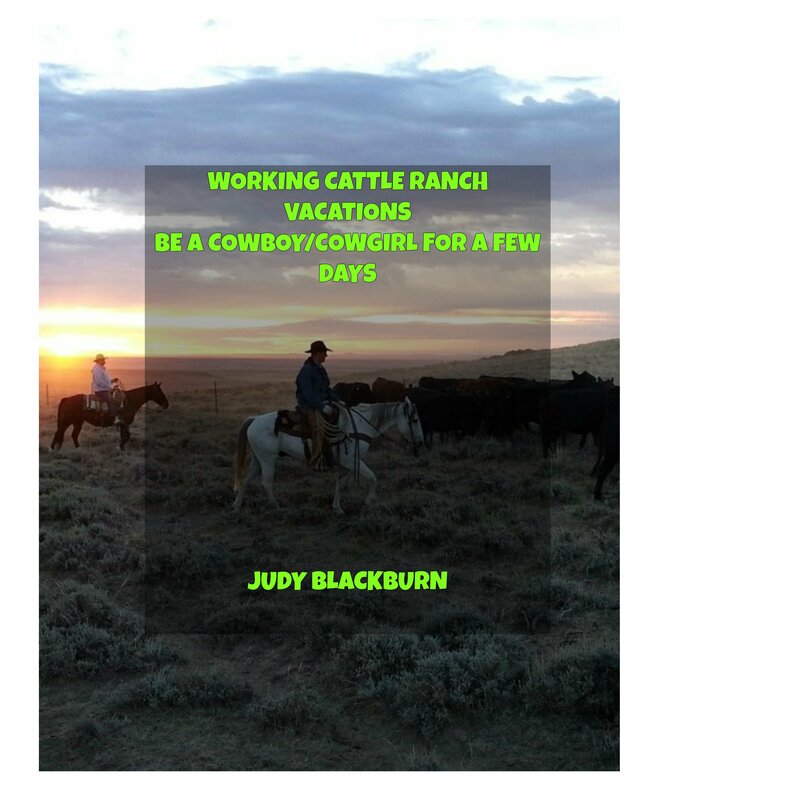 A few minutes from Circle View is the Hurley Butte ranch and they offer guests the opportunity to go on a cattle drive. They have a drive in June and another in September. They also offer hour rides at a separate price. They say there is miles of trails to ride and explore and beautiful scenery to enjoy at every bend in the trail. If guests want to fish they are invited to try for brown and rainbow trout, as well as blue gill, small and large mouth bass, crappy, and perch all in the largest lake in the Black Hills; Pactola Lake. There are also hiking opportunities. Along with cabins there are RV and trailer camping facilities. The cabins are all rated per night. The Ranch House and Big House cabins are both $365. The Circle 6 and 4T goes for $298. The Bunk House and Troxell House are $248. The Martin House, Double T and Boarding House are $98. The smallest cabin is the Bar 5 and is $90. Trail rides are on the top of the list and the trails wind through the Black Hills National Forest. Guests get their pick of a morning or an afternoon ride. Riders have to be at least six years old. The rides are scheduled in May – September at $32. for a 45 minute venture. The afternoon rides are at 1:30 / 2:45 / and 4pm. In the months of June, July, and August scheduled rides begin at 8:30 am / 9:45 am / 11:15 am / 1:30 pm / 2:45 pm / and 4 pm. This ranch has 34 cabins situated here and there. They all have names and are clean and comfortable. Other things guests can participate in at High Country are rides on ATV’s if they don’t care to ride a horse. There is a Circle B Chuck Wagon Dinner and music show. Also Brule` which is a Native American music and dance show. You are not far from Mount Rushmore, Crazy Horse Memorial, or Custer State Park to name a few attractions that are in the close vicinity to visit. I couldn’t find a price rate except for the trail rides so be sure to give ’em a call at (605) 574-9003. Horses enjoying a South Dakota pasture. Thank you for stopping by my hitching post for a visit. Please leave a comment or ask a question. I’ll answer as best I can.